Choosing to see Times of San Diego first in your Fadebook News Feed. Times of San Diego takes an old-fashioned approach to reporting the news: just the facts. We don’t try to be liberal or conservative—that’s for cable news. And we’re trying hard to fight the scourge of fake news, both real and imagined. 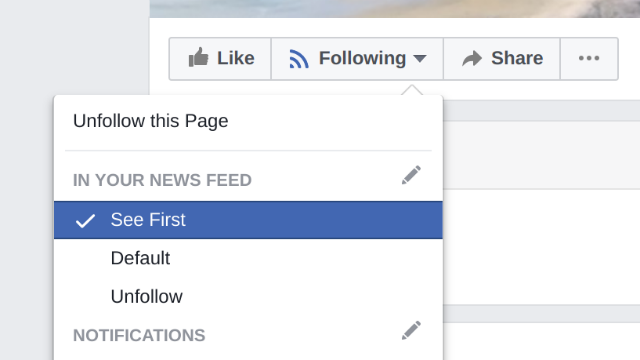 You can make sure you see the latest from Times of San Diego by choosing “See First” in your Facebook news feed. Facebook has announced that it too is fighting fake news, and will make choices about what news to show you based on surveys and traffic levels. We don’t know how this change will affect Times of San Diego, but choosing “See First” will ensure you don’t miss any of our news. This will ensure that you see the 20 to 25 articles a day published from our team of contributing editors. It’s the best way to stay informed about what’s happening in the greater San Diego area. In addition to getting Times of San Diego in your Facebook news feed, don’t forget to sign up for our free daily email newsletter. We’ll send you the 10 most significant news articles from the past 24 hours at 8 a.m. every morning. If you have questions, comments or news tips, don’t hesitate to email us at news@timesofsandiego.com.